The product is currently selling on Chemist Warehouse. No price comparison can be made as the product is not offered by competing chemist/pharmacy. The current price is $4.50 (26 %) more expensive than previous price of $16.99 recorded on 14 May 2018. The price is $4.50 (26 %) more than the historical cheapest price of $16.99 recorded on 14 May 2018. 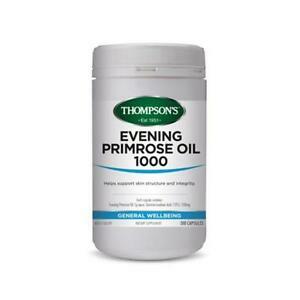 Similar product New THOMPSON'S EVENING PRIMROSE OIL 1000mg 300 Capsules Thompsons EPO Free Post can be found at ebay Australia at $31.50.